To love what you do and feel that it matters, how could anything be more fun? AMY HENDERSON has been involved in all facets of training and development for over fourteen years. She has thousands of classroom hours facilitating training and has designed and implemented a wide range of programs. Her specialty is customizing every program to the particular needs of each client. She works effectively with construction foremen in the Arizona desert and also with insurance executives in Manhattan. Amy does her homework and makes the content of her programs very practical and real-world. Coupled with her ability to quickly connect with people, training participants can't help but get involved and really learn. Perhaps that's why her clients keep having her back, year after year. Amy is a seasoned trainer and facilitator who has expertise as a manager and entrepreneur. Her extensive background allows her to draw on her own experiences and to rely on much more than theory. Amy's credentials include over a decade of working in the financial services industry, a B.A. in Business Management, and certification in well-known training programs such as Situational Leadership® from the Center for Leadership Studies, 4mat® Learning Styles and Achieve Global. 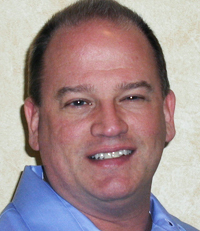 ROBERT GASDICK has 26 years of progressive experience in the banking-related industry. He started his career at Bank of America working in retail and commercial divisions with a focus on selling and analyzing requests for a wide range of personal and business products and services. Based on his expertise, he was promoted into Human Resources, first at Bank of America and then at American Bankers Association, where he provided training and design services throughout the U.S. for multiple divisions such as Retail, Commercial, Loan Production, Collections and Service Centers. Robert now works as an external consultant/trainer and in that role he continues to facilitate courses in areas such as leadership, management, communication, conflict resolution, change, presentation skills and business writing. His participants consistently give him stellar marks on his preparation, delivery style and follow-through – they see how much he cares and understands what they do. Robert's credentials include a B.S. 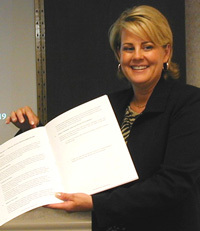 in Business Administration-Financial Management as well as several certifications in well-known topics including Henderson Training, Inc. curriculum, Achieve Global Leadership & Customer Service training programs at the Deliver and Develop Levels, Certified Practitioner of the Myers-Briggs Type Indicator, and certification in well-known training programs such as Situational Leadership® from the Center for Leadership Studies. 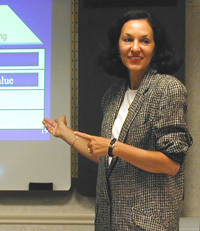 CONNIE BOBOTIS began her operational career in the financial services industry during the 1970's. Over the course of two plus decades she has managed and directed multiple operational, financial, and administrative functions and projects employing hundreds of full-time staff. She has since broadened her services to include training to diverse organizations via seminars and individual coaching. Connie has been a consultant on downsizing, reengineering, strategic planning, restructuring, and related areas as well as seminars to a wide range of clients in areas such as leadership, management, communication, continuous improvement and problem-solving. She also served as a user interface on major systems projects pertaining to processing efficiency, process improvement and management reporting. She is a Phi Beta Kappa graduate from the University of North Carolina and holds a Masters in Business Administration from Georgia State University. She also holds a Total Quality Management certificate from UCLA.